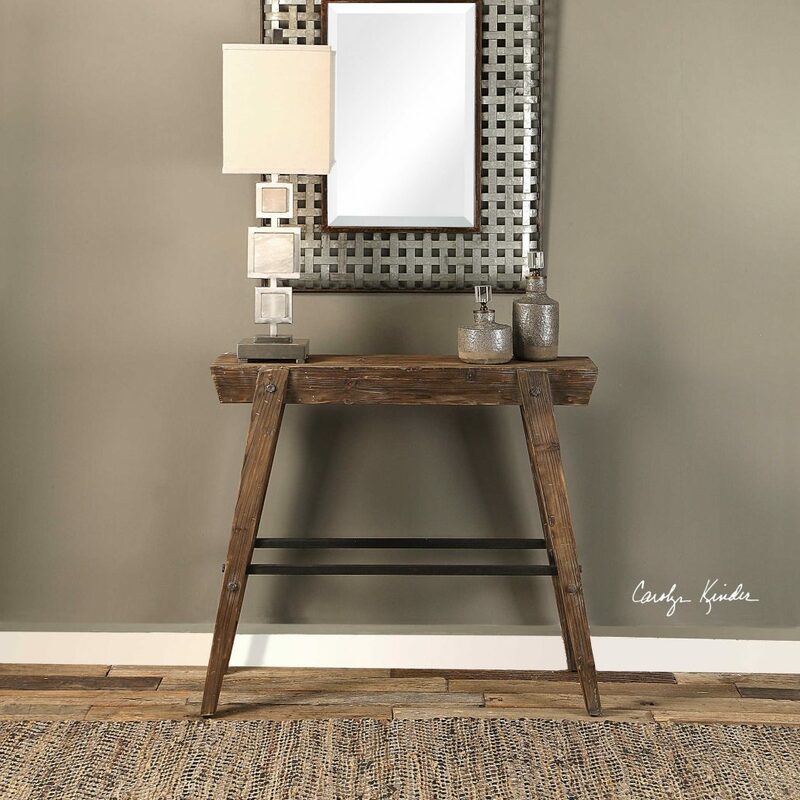 Casual rustic styling with industrial elements, the Hayes Console Table is constructed from solid fir wood in a naturally weathered finish with a light gray wash, supported with bolt accents and an iron stretcher finished in aged bronze. Available to trade professionals at Uttermost.com. For retail purchase Google search term “Carolyn Kinder Hayes Console Table”.